Not even record low mortgage rates are incentivizing consumers from taking the home owner plunge. Wasn't it Manifest Destiny to own your own home? This is Ben Bernanke's worst nightmare. What a complete disaster. Treasury yields hitting new lows. 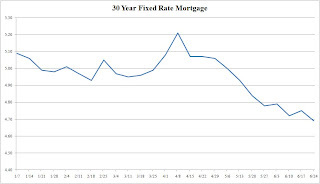 Mortgage rates hitting new lows yet no private end user loan demand. In the face of this outright deflationary backdrop, risk assets have no where to go but down and this means the Fed will need to start printing very soon. Here comes QE 2.0 to the tune of $4.5-5 Trillion. The reason? Very simply the Carry Trade. The most heavely carried trades are the USD/JPY and EUR/JPY couplings. As the Yen gains momentum it destroys the carry. 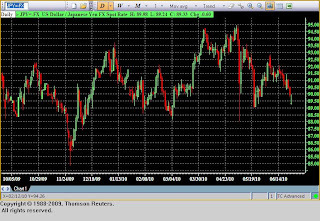 One of the many reasons for the Flash Crash on May 6th was the sudden move in the Yen. Many people borrow in Yen and then invest in risk assets. When the borrowed currency suddenly appreciates you have leveraged losses. "Breaking up big banks would actually increase system risk"
"Curtailing US Bank Swap/Derivative Activity would leave US Banks in a competitive disadvantage"
Royal Bank Of Scotland at the height of the credit frenzy had a balance sheet that equaled 1.5X the entire British Economy. Three Irish banks combined assets were more than 200% of the Irish Economy. Icelandic Banking Institutions at one point were 11-13X the entire Icelandic economy. What do all of these banking institutions have in common? They were all partially or in the case of Iceland fully nationalized. 2-International Banking Institutions - CHECK! Kleptocracy in all its glory is soon to follow. This is the blueprint that many civilizations have taken. As we move towards another major win for Wall Street and the subsequent loss of another 25M more jobs in the coming depression, the failure of breaking up the big banks and shrinking their bank balance sheets will be the biggest domestic policy error in the history of our country. The next time we have a crisis you don't have to look anywhere except DC and the Obama Administration. This is Obama's mess front and center. It wasn't his fault that the economy fell off the cliff in 2008, but any future economic collapse has his fingerprints along with Geithner, Summers, and Bernanke all over it. Questions & Then More Questions? What to do about the Euro? 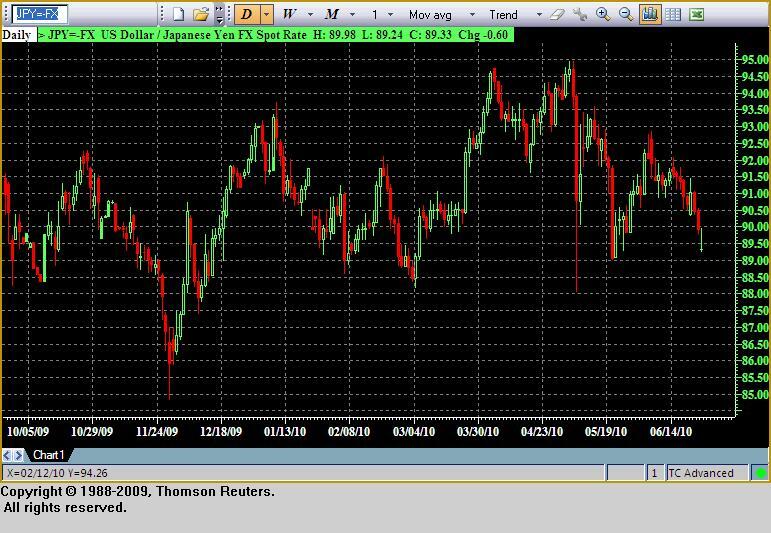 What to do about the Yen carry? What to do about the Euro debt crisis? What about Spain and its banking crisis? What to do about higher short term funding rates? What to do about Chinese property and inflation? What to do about BP? What to do about austerity? What to do about deficits? What to do about Fannie and Freddie? What to do about CRE? What to do about Financial Reform? What to do about the US Economy? With all of these questions that are currently pressing one can deduce that equity and debt markets around the world are in stress. WAIT! Did not the S&P 500 close above its 200 DMA yesterday? Is that not a sign of strength? Is that not a sign that all of the bad macroeconomic news has already been factored in? Has not the Euro rallied the last few days? Didn’t the ECB just bail everyone out? Yesterday marked the fifth straight day that most European Equity Markets rallied. One can understand that the DAX will rally with a weak Euro because it’s an export driven country but I am still trying to figure out why the FTSE continues to rally with all of the BP headwinds. BP and Royal Dutch currently make up over 50% of the dividend income for the entire UK stock market. One has to believe from the way Obama is hawking that BP will get sued into bankruptcy if they don’t eliminate the dividend. So why is BP delaying the inevitable? Is it that they are hoping that some oil lobbyist can somehow get enough hookers out of South Africa and into DC by the end of the week to appease our upstanding elected officials? Do they actually think that they are capable of stopping this leak? I don’t think so. It’s a natural stall tactic until BP finds some dirty pictures of Ken Salazar. But let it be known that Obama is on the run here and that no mercy will be shown to BP if they don’t voluntarily compensate for the spill. My thinking here is BP is a busted dead stock for the next year or so. They will eliminate the dividend and pay through their noses. In any case the Gulf has been ruined for generations to come and the collateral damage so soon after Katrina will be devastating for our Southern friends. I can’t blame Obama for putting a 6 month ban on oil and gas drilling. This is what happens when a President just looks away at obvious regulatory problems. The agency that regulates energy exploration in the outer shelf MMS has a huge conflict of interest. How do you expect these guys to regulate BP and others when they stand to profit when the industry goes and explores? This is the problem. Forget about Regulatory Capture for a moment, this is 100% sleeping with the ones that you are supposed to police. Guess what? Obama has known about this since he took office 16 months ago. Why did he not do anything? The obvious answer here is no one wants to be the one who stops the golden goose from laying eggs. Obama must know this and the drilling ban is going to hurt. You think China is going to stop drilling? Russia? As you can see from the recent ramp in Natural Gas any drilling bans will just make it more expensive for the rest of us. In equity land volume was nowhere to be found. This coupled with a stronger Euro and weaker dollar meant a return of the risk trade. All risk assets were equal 1 correlation. It was no brainer Delta One trading at its best. The money flew out of FI on the short end as the all important 3 Month Bill went up 2.5BPS. The 10&30 Year Treasury had selling as well. What’s important here is that both issues are near support and any break of these support levels will have rates go higher and a further move in risk assets higher. If the 10&30 can gain some footing risk appetite can be diminished and we may see yet lower equity prices. Remember that equities rallied all throughout 2007 even in the face of daunting global credit issues. Equity investors are not the sharpest tool in the shed and will look for exits if any risk avoidance is merited. A few weeks ago I stated that the Euro was poised for a rally. We have gotten a nice Euro rally from 1.18 to 1.23. This has most equity investors happy but the recent move in the Euro is 100% technical in nature as there were huge short coverings executed. This looks to me as weak hands just being shaken out. The gloomy Euro Zone economies will pressure the ECB to increase overnight funding and ultimately $1.5T in Quantitative Easing will be announced. This will lead to another rally in risk assets temporally as this is the ECB’s version of “LETS BAILOUT THE BANKS.” This will punish the Euro all the way to Par vs. the USD. Let’s just say that the ECB needs a bigger BOAT and I don’t mean MiFID BOAT. There is no magic bullet to save European economies. Austerity will kill growth at a time when many economies still have not recovered from the last credit crisis. European and US Markets are in a no win situation. Keynesianism worked. It averted a great depression, but at what cost? Government debt and budgets are obese and are about to burst to the tune of higher interest rates and overnight funding costs. We talk about run on banks all of the time, but a run on a country is a total game changer. The S&P 500 did finish above its 200DMA, but the April-May-June distribution is very bearish. These are the type of rallies we see in secular bear markets. Markets always have huge rallies in bear phases because short players and sellers always overshoot and buyers have hope that better days are in front of them. The idea of not buying the bottom weighs on investors. But what can’t be discounted is that credit is what makes the world go. Look to the credit markets to get an idea if what is really going on. 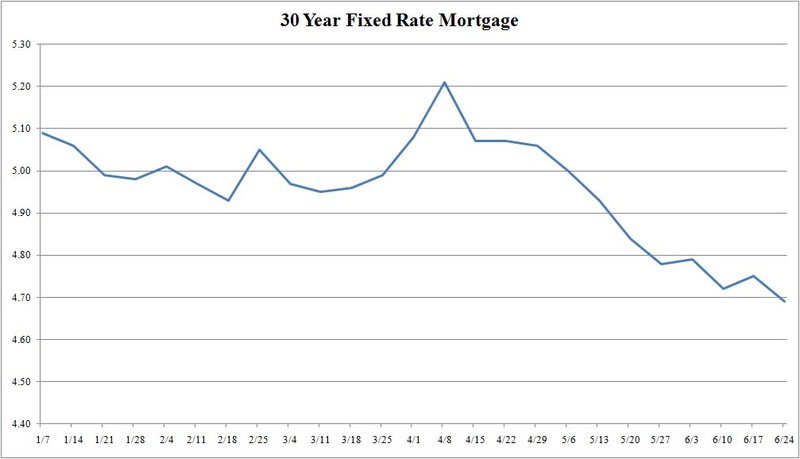 If markets were on solid footing we would see Repo rates coming down not going up. We won’t be seeing haircuts on Repo transactions. We won’t be seeing O/N and 3M Libor/Euribor going up. Sooner or later equity prices will catch up to this just like they did in 2008. Widening credit spreads in the interbank and Corporate/CP/Treasury/HY is a harbinger of future problems. This is very bearish action. Today we have the delisting of FNM/FRE. What will the Algo/HFT’s do now? These two garbage stocks are a gold mine for the machines. Have we finally come to the point that the exchanges think these entities are worthless and only stand as a piggy bank/dumping ground for Wall Street institutions? When will the government figure this out? The backstopping of losses and continued funding is so deplorable that only the banks think it’s a good idea to keep them around. Now you know why we haven't caught Bin Laden. This is just further illustrates that US forces will be occupying Afghanistan for for the next twenty years. I can just imagine hearing Obama justify extending the deadline for pullout indefinitely. "We have to stay in Afghanistan!, there is untapped trillions that we can steal to justify the trillions already spend." Watch for more no bid contract wins from the likes of Halliburton and Blackwater. I know Blackwater changed their name to XE, but their stripes have not. This will leave the left more infuriated while the right will continue to hammer Obama because that is the only way they know how to operate. US officials have tried to parlay this information as a huge positive, it may still be a huge find but it further illustrates how far beyond broken our political system has become. At least someone is interested in finding and catching Bin Laden. Wall Street back door bailout continues. Does the American Taxpayer know they are financing Part 2 of the great Wall Street bonus machine? Part 1 was AIG. When the Treasury gave Fannie/Freddie 2 years of unlimited funding on Christmas Eve, it was the greatest Christmas present to Wall Street since Greenspan. First the Fed expanded its balance sheet with the purchase of $1.25T in mortgage paper. Then the banks used Fannie/Freddie as a dumping ground for the garbage they couldn't sell the Fed. Does the word "Dumping Ground" sound familiar? AIG was the dumping ground for all of the subprime CDO risk on Wall Street. The dumping continued until AIG could no longer smell the stench of all those toxic CDO's. When will the Taxpayer start to smell the stench? I am thinking sometime in mid 2011. Where is the oversight? Where is the leadership? Why isn't Fannie/Freddie obligations part of the federal budget? Why are Fannie/Freddie still doing business? Why is there not a plan to wind down these entities? Why are we continuing to fund these morbidly obese housing structures that have become legal toxic dumping grounds? The answers are quite simple. The only reason these two structures are around is that the lobbyists and various Wall Street interests want them to be around. How else can they funnel there garbage at par? There is still some trillion bad mortgage bets on and off bank balance sheets. The Taxpayer is on the hook for this and Wall Street is laughing in the rear view mirror. The banks have padded their books to this effect. On top of the fact that there is not one once of honest accounting left in the banking sector. We have not even broached the subject of European Banks and sovereign debt. All of this sovereign debt is sitting on balance sheets that are insolvent. What we have is the US Banking sector is worthless mortgage paper that the taxpayer is custodian for. Even with this the banks are insolvent. How in the world can Treasury/Fed bail out these institutions once again? The ECB can't possibly bailout all European banks without totally destroying the Euro. They will not do this because the Europeans won't allow it. We have to let debts be restructured. We have to let housing do its own thing and go down another 10-15%. We have to allow the orderly liquidation of bad companies. We have to make the banks accountable for the mess that THEY created.